Our Open House is August 3rd!!! We hope to have you here for some FREE games and food, while you explore our facility and meet our teachers along with enrolling for BACK TO SCHOOL! No registration fee + a surprise offer for you! Ask us about it when you come in! 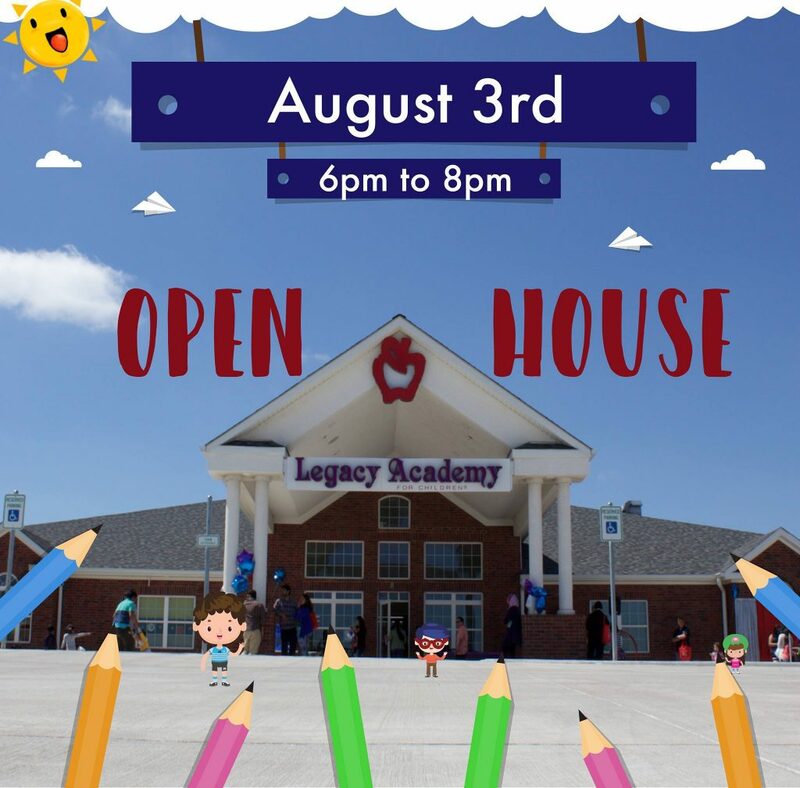 Legacy AcademyYou’re invited to our Open House on August 3rd!